Erase 2018! Wrinkles, Spots, Lip Lines, Acne Scars...BE GONE! Many factors contribute to the development of these textural and pigment changes that affect our appearance. Genetics, hormones, lifestyle habits such as smoking and diet, and environment all play a role. The biggest contributing factor that is preventable is sun exposure. Development of wrinkles and sun damage can be delayed with the daily use of SPF, healthy lifestyle choices, and skincare. But what can be done to get rid of these skin imperfections once you have them? Erasing the lines of time is possible with lasers! What more do you need to know? A lot! There are a lot of different types of lasers, different manufacturers, and different ways of delivering energy into the skin. Not all lasers are capable of smoothing out textural irregularities of the skin. Of those that can, not all work equally well. The key to success is to use the right laser for the right purpose. In most cases, the best treatment for what is known as skin resurfacing is done with a C02 laser. C02 Deep FX - Fractionated Resurfacing: Thousands of microscopic perforations are delivered into the skin, each about the width of a human hair. The laser scans one small area at a time and distributes heat so quickly that the tissue is literally vaporized to remove columns of debris. This initiates the body’s natural wound healing response, which stimulates the surrounding zone of affected skin to create new collagen. Within a period of 4-7 days post-treatment, the damaged skin exfoliates and a new layer of skin reveals a smoother, healthier, clearer complexion. Over the next few months, as the new collagen foundation develops, the skin texture and tone continues to improve to tighten the skin and smooth out lines and wrinkles. C02 Active FX – Deep Laser Peel: This treatment is more superficial, but allows us to deliver a greater number of fractionated columns. It offers the same resurfacing benefits as deep resurfacing but to a lesser degree. The superficial nature of Active FX allows us to treat the skin on the neck and chest and go right up to the eyelashes with the use of intraocular shields. For people with only minor textural irregularities, it is an excellent option that is less invasive. An added benefit of Active FX is that it can literally peel off sun damage. It doesn’t just fade the sun damage as phototherapy does...It gets it off! C02 Total FX: Deep FX can be combined with Active FX to compound the benefits of both treatments. Treatments are customized based on the condition of the skin on various areas of the face, neck or chest. We can treat more aggressively with deep perforations where lines and wrinkles are more pronounced and cause more peeling where necessary to remove darker spots of sun damage. Skinpossible’s C02 laser is a Lumenis AcuPulse, the Gold Standard of C02 lasers. Lumenis has the greatest versatility allowing us to fully customize your treatment. It also has the shortest pulse duration of any C02 laser which enhances your safety and comfort, lowers the chance of side effects, and speeds up your recovery. Results vary from person to person depending on each individual’s healing response. Deeper wrinkles (particularly those around the mouth), thick solar lentigines (sun spots), and acne scars may require additional treatments. While skin resurfacing treatments do require some downtime, it’s not uncomfortable downtime. You will be red and swollen for a few days so we suggest you use your recovery time as an opportunity to accomplish some projects at home or simply relax. It’s not “stay in bed” downtime, but more like “stay at home and avoid the cold weather” downtime. Winter is an ideal time to do the treatment because you need to avoid sun exposure for a few weeks before and a few months after the treatment. If you would like to know more about C02 or any of the numerous other treatments we offer, simply call and book your free introductory consultation. Skinpossible has more technology than any other medical aesthetics clinic in Calgary. If you are not a candidate for C02 we will tell you and offer alternatives. Our style of consultation is educational and our goal is to give you all the information you need to make an informed decision. No pressure! No Obligation! 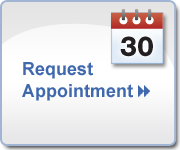 Evening and Saturday appointments are available. Consultations are free and so is parking. Call today!